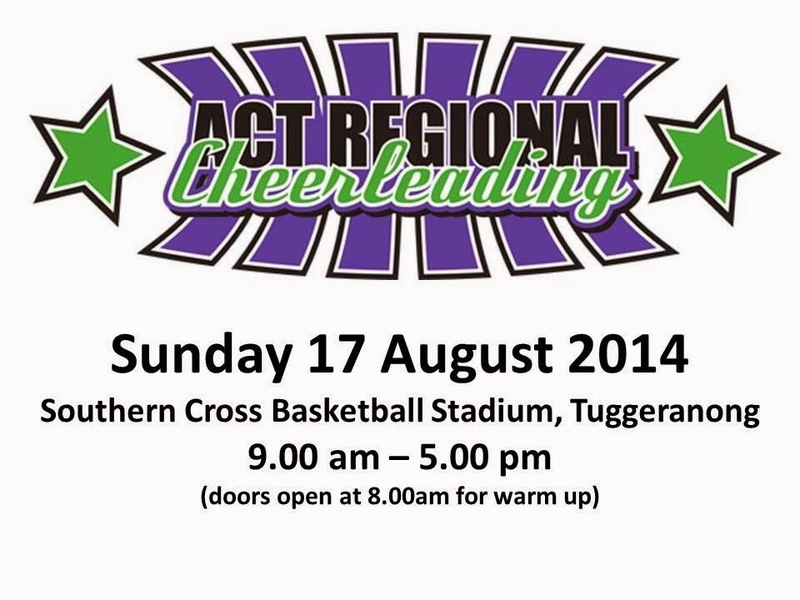 Yesterday we spent the day at the ACT Regional Cheerleading event. Derek, Tahlia and cousin Jessica ran the Cheer Chick Charlie stall, while I helped run the competition. I've spent the last month or so coordinating this competition with all the squads in the ACT. It's a fantastic day that not only gives our competition cheerleaders a chance to shine, but raises money for their continued skilling and for Ronald McDonald House Canberra, in the process. I am very pleased to say that the event was a huge success with our cheer community again raising between $4000 and $5000 for RMHC. We've also got enough funds left over to bring in some internationally recognised coaches to the ACT to run workshops with the 400 athletes who made yesterday possible. Oh ... and Good Shepherd Cheerleading had amazing results yesterday with another truck load of trophies to display at the school. Yep, it was a big day ... definitely a win, win WIN!